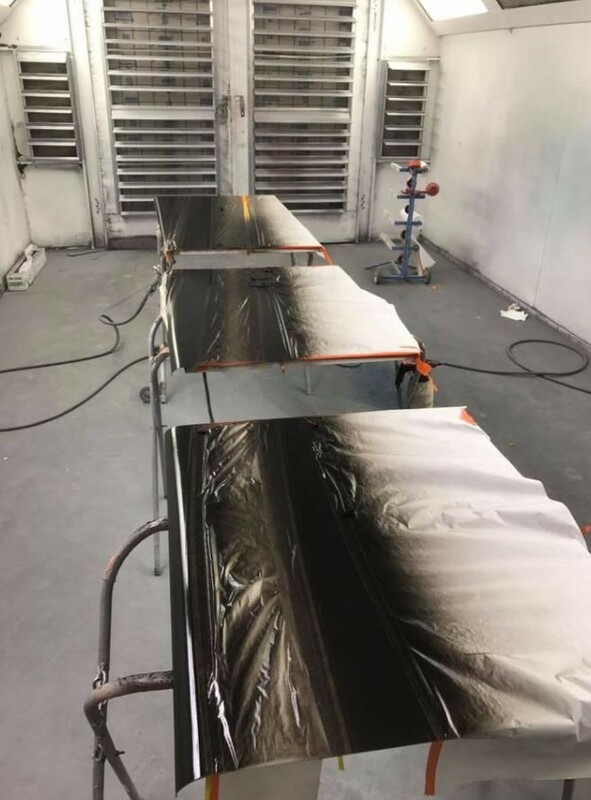 North Star Collision Repair Inc. 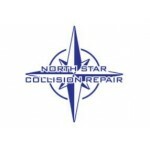 Welcome to North Star Collision Repair in Orangevale, CA! Invalid ReCaptcha, please try again. By providing my communication information, including but not limited to email addresses, cellular phone numbers, or other phone numbers, I am giving my express consent to be contacted and communicated with (including automated telephone dialing systems) via any of these means, by you, the repair facility and their service providers, as it relates to the services being provided. Providing cellular or mobile telephone number, email address or other telephone number is not a required condition of service. These terms and conditions (the "Terms") govern your access to and use of AutoBody-Review.com website and mobile application that link to or reference these Terms ("Site"). By accessing or using the Site, you are agreeing to these Terms, including a legally binding contract with Flash of Genius, LLC., a California limited liability company, headquartered in Chino, California ("AutoBody-Review.com"). Do not access or use the Site if you are unwilling or unable to be bound by the Terms. "You" and "your" refer to you, as a user of the Site. A "user" is someone who accesses, browses, crawls, scrapes, or in any way uses the Site. "We," "us," and "our" refer to AutoBody-Review.com. "Content" means text, images, photos, audio, video, location data, and all other forms of data or communication. "Your Content" means Content that you submit or transmit to, through, or in connection with the Site, such as ratings, reviews, compliments, invitations, check-ins, messages, and information that you publicly display or displayed in your account profile. "User Content" means Content that users submit or transmit to, through, or in connection with the Site. "AutoBody-Review.com Content" means Content that we create and make available in connection with the Site. "Third Party Content" means Content that originates from parties other than AutoBody-Review.com or its users, which is made available in connection with the Site. "Site Content" means all of the Content that is made available in connection with the Site, including Your Content, User Content, Third Party Content, and AutoBody-Review.com Content. Changes to the Terms of Service: We may modify the Terms from time to time. You understand and agree that your access to or use of the Site is governed by the Terms effective at the time of your access to or use of the Site. If we make material changes to these Terms, we will notify you by email or by posting a notice on the Site prior to the effective date of the changes. You should revisit these Terms on a regular basis as revised versions will be binding on you. Any such modification will be effective upon our posting of new Terms. You understand and agree that your continued access to or use of the Site after the effective date of modifications to the Terms indicates your acceptance of the modifications. We may translate these Terms into other languages for your convenience. Nevertheless, the English version governs your relationship with AutoBody-Review.com, and any inconsistencies among the different versions will be resolved in favor of the English version. Your account is for commercial use only. In creating it, we ask that you provide complete and accurate information about your business to build credibility as to the Site. You may not impersonate someone else (e.g., adopt the identity of another business or person), create or use an account for anyone other than yourself, provide an email address other than your own, or create multiple accounts. The Service granted in this Agreement shall remain in force for the minimum term of one (1) month. 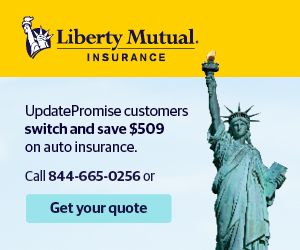 Upon expiration of the term specified herein, Service shall automatically renew for successive minimum terms of one (1) month unless User gives AutoBody-Review.com notice of its intention not to renew the Service within ten (10) days prior to the expiration of the then term. By creating an account, you agree to receive certain communications in connection with the Site. For example, you might receive compliments or friend requests from other Users. You may also receive our weekly/monthly e-mail newsletter about happenings in your neighborhood. You can opt-out of non-essential communications. You alone are responsible for Your Content, and once published, it cannot always be withdrawn. You assume all risks associated with Your Content, including anyone's reliance on its quality, accuracy, or reliability, or any disclosure by you of information in Your Content that makes you personally identifiable. You represent that you own, or have the necessary permissions to use and authorize the use of Your Content as described herein. You may not imply that Your Content is in any way sponsored or endorsed by AutoBody-Review.com. We may use Your Content in a number of different ways, including publicly displaying it, reformatting it, incorporating it into advertisements and other works, creating derivative works from it, promoting it, distributing it, and allowing others to do the same in connection with their own websites and media platforms ("Other Media"). As such, you hereby irrevocably grant us world-wide, perpetual, non-exclusive, royalty-free, assignable, sub-licensable, transferable rights to use Your Content for any purpose. Please note that you also irrevocably grant the users of the Site and any Other Media the right to access Your Content in connection with their use of the Site and any Other Media. Finally, you irrevocably waive, and cause to be waived, against AutoBody-Review.com and its users any claims and assertions of moral rights or attribution with respect to Your Content. By "use" we mean use, copy, publicly perform and display, reproduce, distribute, modify, translate, remove, analyze, commercialize, and prepare derivative works of Your Content. As between you and AutoBody-Review.com, you own Your Content. We own the AutoBody-Review.com Content, including but not limited to visual interfaces, interactive features, graphics, design, compilation, including, but not limited to, our compilation of User Content and other Site Content, computer code, products, software, aggregate user review ratings, and all other elements and components of the Site excluding Your Content, User Content and Third Party Content. We also own the copyrights, trademarks, service marks, trade names, and other intellectual and proprietary rights throughout the world ("IP Rights") associated with the AutoBody-Review.com Content and the Site, which are protected by copyright, trade dress, patent, trademark laws and all other applicable intellectual and proprietary rights and laws. As such, you may not modify, reproduce, distribute, create derivative works or adaptations of, publicly display or in any way exploit any of the AutoBody-Review.com Content in whole or in part except as expressly authorized by us. Except as expressly and unambiguously provided herein, we do not grant you any express or implied rights, and all rights in and to the Site and the AutoBody-Review.com Content are retained by us. AutoBody-Review.com and its licensees may publicly display advertisements and other information adjacent to or included with Your Content. You are not entitled to any compensation for such advertisements. The manner, mode and extent of such advertising are subject to change without specific notice to you. We make some of the Site Content ("Feed Content") available via Real Simple Syndication and Atom feeds ("Feeds"). You may access and use the Feeds in order to display Feed Content on your personal computer, website, or blog ("Your Site"), if (i) your display of the Feed Content links back to the relevant pages on AutoBody-Review.com's websites, and attributes AutoBody-Review.com as the source of the Feed Content, (ii) your use or display of the Feed Content does not suggest that AutoBody-Review.com promotes or endorses any third party causes, ideas, websites, products or services, including Your Site, (iii) you do not redistribute the Feed Content, and (iv) your use of the Feeds does not overburden AutoBody-Review.com's systems. AutoBody-Review.com reserves all rights in the Feed Content and may terminate the Feeds at any time. User Content (including any that may have been created by users employed or contracted by AutoBody-Review.com) does not necessarily reflect the opinion of AutoBody-Review.com. We reserve the right to remove, screen, edit, or reinstate User Content from time to time at our sole discretion for any reason or no reason, and without notice to you. For example, we may remove a review if we believe it violates our Content Guidelines. We have no obligation to retain or provide you with copies of Your Content, nor do we guarantee any confidentiality with respect to Your Content. Violate our Content Guidelines for example, by writing a fake or defamatory review, trading reviews with other businesses, or compensating someone or being compensated to write or remove a review. The restrictions above only apply to the extent permissible under applicable law. Nevertheless, you agree not to act contrary to them (even if permissible under applicable law) without providing 30 days' prior written notice to us here, together with any information that we may reasonably require giving us an opportunity to provide alternative remedies or otherwise accommodate you at our sole discretion. protect our rights, reputation, and property, or that of our users, affiliates, or the public. If you use the Site outside of the United States, you consent to having your personal data transferred to and processed in the United States. you grant us an irrevocable, non-exclusive, royalty-free, perpetual, worldwide license to use, modify, prepare derivative works, publish, distribute and sublicense the Feedback, and you irrevocably waive, and cause to be waived, against AutoBody-Review.com and its users any claims and assertions of any moral rights contained in such Feedback. the infringement by you, or any third party using your account, of any intellectual property or other right of any person or entity. AutoBody-Review.com reserves the right, at your expense, to assume the exclusive defense and control of any matter for which you are required to indemnify us and you agree to cooperate with our defense of these claims. You agree not to settle any such matter without the prior written consent of AutoBody-Review.com. AutoBody-Review.com will use reasonable efforts to notify you of any such claim, action or proceeding upon becoming aware of it. PLEASE READ THIS SECTION CAREFULLY SINCE IT LIMITS THE LIABILITY OF THE AUTOBODY-REVIEW.COM ENTITIES TO YOU. EACH OF THE SUBSECTIONS BELOW ONLY APPLIES UP TO THE MAXIMUM EXTENT PERMITTED UNDER APPLICABLE LAW. NOTHING HEREIN IS INTENDED TO LIMIT ANY RIGHTS YOU MAY HAVE WHICH MAY NOT BE LAWFULLY LIMITED. IF YOU ARE UNSURE ABOUT THIS OR ANY OTHER SECTION OF THESE TERMS, PLEASE CONSULT WITH A LEGAL PROFESSIONAL PRIOR TO ACCESSING OR USING THE SITE. BY ACCESSING OR USING THE SITE, YOU REPRESENT THAT YOU HAVE READ, UNDERSTOOD, AND AGREE TO THESE TERMS, INCLUDING THIS SECTION. YOU ARE GIVING UP SUBSTANTIAL LEGAL RIGHTS BY AGREEING TO THESE TERMS. THE SITE IS MADE AVAILABLE TO YOU ON AN "AS IS", "WITH ALL FAULTS" AND "AS AVAILABLE" BASIS, WITH THE EXPRESS UNDERSTANDING THAT THE AUTOBODY-REVIEW.COM ENTITIES MAY NOT MONITOR, CONTROL, OR VET USER CONTENT. AS SUCH, YOUR USE OF THE SITE IS AT YOUR OWN DISCRETION AND RISK. THE AUTOBODY-REVIEW.COM ENTITIES MAKE NO CLAIMS OR PROMISES ABOUT THE QUALITY, ACCURACY, OR RELIABILITY OF THE SITE, ITS SAFETY OR SECURITY, OR THE SITE CONTENT. ACCORDINGLY, THE AUTOBODY-REVIEW.COM ENTITIES ARE NOT LIABLE TO YOU FOR ANY LOSS OR DAMAGE THAT MIGHT ARISE, FOR EXAMPLE, FROM THE SITE'S INOPERABILITY, UNAVAILABILITY OR SECURITY VULNERABILITIES OR FROM YOUR RELIANCE ON THE QUALITY, ACCURACY, OR RELIABILITY OF THE BUSINESS LISTINGS, RATINGS, REVIEWS, METRICS OR REVIEW FILTER FOUND ON, USED ON, OR MADE AVAILABLE THROUGH THE SITE. THE AUTOBODY-REVIEW.COM ENTITIES MAKE NO CLAIMS OR PROMISES WITH RESPECT TO ANY THIRD PARTY, SUCH AS THE BUSINESSES OR ADVERTISERS LISTED ON THE SITE OR THE SITE'S USERS. ACCORDINGLY, THE AUTOBODY-REVIEW.COM ENTITIES ARE NOT LIABLE TO YOU FOR ANY LOSS OR DAMAGE THAT MIGHT ARISE FROM THEIR ACTIONS OR OMISSIONS, INCLUDING, FOR EXAMPLE, IF ANOTHER USER OR BUSINESS MISUSES YOUR CONTENT, IDENTITY OR PERSONAL INFORMATION, OR IF YOU HAVE A NEGATIVE EXPERIENCE WITH ONE OF THE BUSINESSES OR ADVERTISERS LISTED OR FEATURED ON THE SITE. YOUR PURCHASE AND USE OF PRODUCTS OR SERVICES OFFERED BY THIRD PARTIES THROUGH THE SITE IS AT YOUR OWN DISCRETION AND RISK. 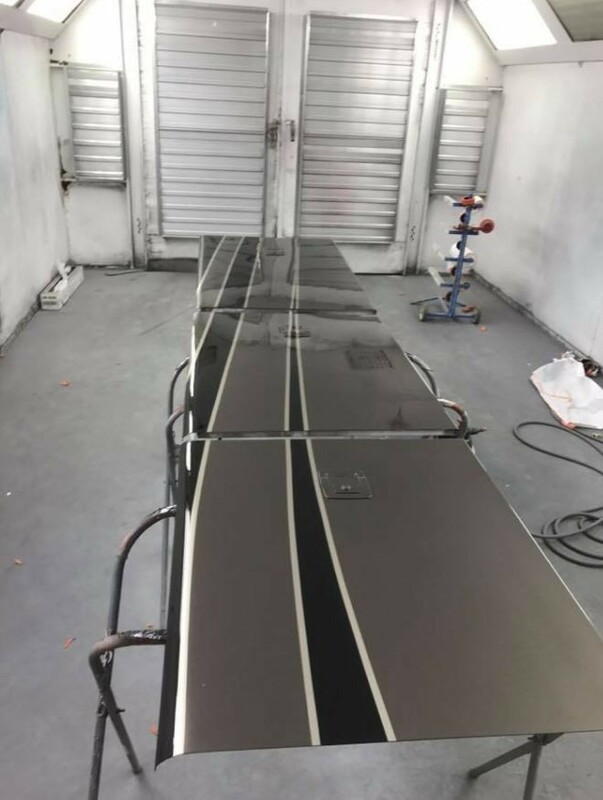 THE AUTOBODY-REVIEW.COM ENTITIES EXPRESSLY DISCLAIM ALL WARRANTIES, WHETHER EXPRESS OR IMPLIED, INCLUDING WARRANTIES AS TO THE PRODUCTS OR SERVICES OFFERED BY BUSINESSES LISTED ON THE SITE, AND IMPLIED WARRANTIES OF MERCHANTABILITY, FITNESS FOR A PARTICULAR PURPOSE, AND NON-INFRINGEMENT. NO ORAL OR WRITTEN INFORMATION OR ADVICE PROVIDED TO YOU BY A REPRESENTATIVE OF ONE OF THE AUTOBODY-REVIEW.COM ENTITIES SHALL CREATE A REPRESENTATION OR WARRANTY. LOSS OF INFORMATION OR DATA. THE FOREGOING EXCLUSIONS TO AND LIMITATIONS ON LIABILITY SHALL APPLY REGARDLESS OF THE LEGAL THEORY ON WHICH LIABILITY IS ALLEGEDLY BASED. California law will govern these Terms, as well as any claim, cause of action or dispute that might arise between you and AutoBody-Review.com (a "Claim"), without regard to conflict of law provisions. FOR ANY CLAIM BROUGHT BY EITHER PARTY, YOU AGREE TO SUBMIT AND CONSENT TO THE PERSONAL AND EXCLUSIVE JURISDICTION IN, AND THE EXCLUSIVE VENUE OF, THE STATE AND FEDERAL COURTS LOCATED WITHIN ORANGE COUNTY, CALIFORNIA. We may close your account, suspend your ability to use certain portions of the Site, and/or ban you altogether from the Site for any or no reason, and without notice or liability of any kind. Any such action could prevent you from accessing your account, the Site, Your Content, Site Content, or any other related information. In the event of any termination of these Terms, whether by you or us, Sections regarding Definitions, Service Period, Service Fee, Service Fee Increases, Restrictions, Indemnity, Disclaimers and Limitations of Liability, Choice of Law and Venue, Termination, and General Terms will continue in full force and effect, including our right to use Your Content as detailed in the Content section. Upon termination of the Service granted hereunder, AutoBody-Review.com’s obligations under this Agreement shall cease. User’s representations and warranties and obligations to indemnify shall survive until all applicable statute of limitations entitling any third person or entity to bring any claim have expired. User’s obligations to complete all payments of the initial installments and become current and pay in full any and all other charges or fees survive the termination of this Agreement. Expiration of the term specified in this Agreement or of any optional renewal term in the absence of a subsequent renewal in accordance with the terms of this Agreement. Assignment of the Service to a third party, or a third party’s use of the Service whether directly permitted by User or indirectly and whether inadvertently, permitted or otherwise. Refusal by User to pay any periodic Service Fee, or any increase in those fees provided for in this Agreement. Cessation of business by User or any successor or assign to whom the Service has been legitimately transferred. Commission by User of an event of default as defined herein. User attempts to use, copy, license, or convey the Service in any manner contrary to the terms of this Agreement or in derogation of AutoBody-Review.com’s proprietary rights in the Service. User fails or neglects to perform or observe any of its existing or future obligations under this Agreement, including, without limitation, the timely payment of any sums due AutoBody-Review.com within ten (10) days after notice that the payment is delinquent. User makes an assignment of User’s business for the benefit of creditors. A petition in bankruptcy is filed by or against User. A receiver, trustee in bankruptcy, or similar officer is appointed to take charge of all or part of User’s property. User is adjudicated a bankrupt.